But what about the brakes themselves? 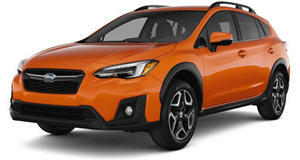 If you’re the owner of a Subaru Impreza, Crosstrek, or Forester, then there’s a chance you’ll soon be receiving a recall notice. According to Reuters, the automaker will issue a voluntary recall of 2.3 million vehicles worldwide over faulty brake lights that could also affect the ignition system. 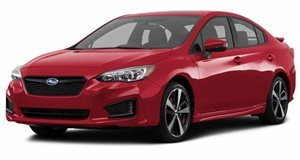 Consumer Reports, which recently ranked Subaru as its top brand, further specifies that 1.3 million of those vehicles are in the US. Another 300,000 units are in Japan. 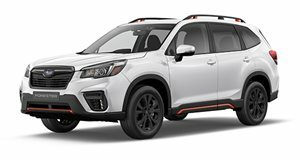 The recall will include certain 2008 to 2016 models of the Impreza, 2013 to 2017 Crosstrek, and 2014 to 2016 Forester. There have been approximately 20 reported incidents tied directly to this issue, which involves the brake lamp switch inside the vehicles. Turns out some liquid cleaning products that contain silicone could trickle their way into the switch, causing it not to work. Fortunately, the brakes themselves are not affected but it’s still very problematic when a driver applies the brakes and there’s no rear illumination indicator for fellow drivers. But how does this affect the ignition system? For many of the recalled vehicles the brake lamp switch is also connected to the ignition system, which is done for safety, and requires the brake pedal to be depressed before the vehicles start. Subaru says it plans to begin contacting owners within 60 days and a formal recall announcement is expected shortly. It should be pointed out that this recall will be Subaru’s biggest one ever with one big exception: the Takata airbag recall. However, Subaru has recently been plagued by some other quality-related issues which have been fueled by high demand in the US. Subarus are built in Japan and the US but the factories have been working overtime to meet demand. Nearly 60 percent of Subaru’s global sales volume comes from US buyers who specifically chose the brand for its high build quality. In some ways, Subaru is becoming a victim of its own success. In this day and age, the average family needs every bit of help they can get. Subaru offers more standard features, but takes away two big powertrain options. Changes are mild for this new generation, but everything is just that little bit better.